Recruitment, selection and assessment procedures sometimes make use of aptitude tests, which are designed to measureone�s potential for achievement. 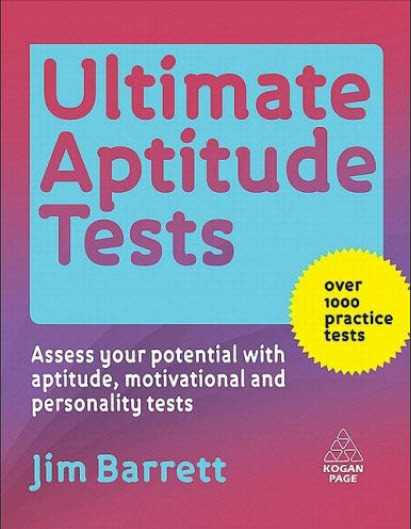 The Ultimate Aptitude Book includes verbal, numerical, perceptual and practical tests as well as exercises testing specificaptitudes such as memory and dexterity. It also covers personality and motivational tests, which assess leadership, management and social awareness aptitudes. This book is valuable for anyone who wants to see how their own unique aptitudes might best be used in a wide range of careers. For those people already in a career, it can show them how to develop their existing role as well as guide them toward a possible change of direct. Got a job interview next week? Congratulations!Interviews are the deal-breaker that can win or lose you the job, so now's the time to brush up on those interview skills. Have you prepared answers for all the tricky questions that interviewers can throw at you, like Why would you like to work here? ', What are your weaknesses? ', or those thorny scenario questions where you have to think on your feet?Interview Skills that Win the Job will give you the confidence you need to stay calm and in control to impress even the most hardened of interviewers. No more long-winded answers, debilitating nerves or being stumped by difficult questions here are all the tips you need for interview success. More than a guide to answering questions, Interview Skills that Win the Job covers everything you need to know, from what to do when faced with a panel of interviewers, to selecting an appropriate outfit and ensuring your body language gives the right message. Don't let this potentially nerve-wracking experience undo your chances; do your homework before the interview, and win the job of your dreams. 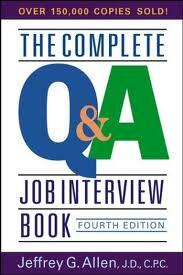 Revision of the successful first edition, this question and answer approach to interviewing includes a new chapter on questions asked about computer technology. Allen explains the technique of answering questions and provides practice scripts. 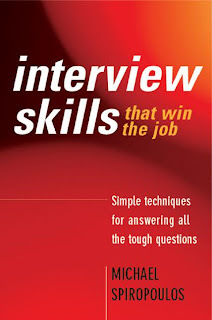 In The Complete Q&A Job Interview Book, Allen gives you your own personalized interview script to prepare you in advance for anything that might be asked. Covering everything from questions about your personal background to management ability and technology know-how, he gives you a fail-safe delivery format for responding. This new edition has been updated to guide you through today’s job market, including changing dress codes and workplace behavior, as well as questions you should ask of your interviewer. Follow the advice in this book and you’ll perform like a superstar and get the job you want!